Better late than never: Go Home! Don’t agonize over the external environments that tempt or torment you. Instead go home – to the sacred space within yourself! Don’t seek solace in the material stuff__your salary, your car, your apartment, your smart phone, your office desk, your visa status and such__which tantalizes you. In fact, even companionship has become materialistic, opportunistic. We met someone who doesn’t want to get married because she’s not sure he’s the right guy, and despite courting him for seven years, she doesn’t want to let him go either because she’s not sure if she will find the right person any time soon! The papers some time ago reported of a Chennai couple’s quest for the sperm of an IIT-ian (a premier engineering school in India) in their effort to ensure that their in-vitro procedure begets them a “brilliant, intellectual” progeny! A lot of humanity is obsessed with these fringe benefits of Life. People are also petrified of ‘what-if’ scenarios. A friend, while he hates the job he is in, does not want to quit it because he is worried that he may not be able to pay his mortgage dues if he moves to a job that he loves because the pay may be less! Many of us are like these people. We swim on the surface and get trapped in the “never-ending waves of desire” or unmet expectations or drown ourselves in wasteful emotions like sorrow, jealousy and therefore endure Life__suffering endlessly. Life’s to be enjoyed not suffered. Also, Life is never at the surface, where the waves operate. Deep down, the ocean is always calm and beautiful. Life’s never in the external elements that we crave for. Real Life is what we experience from within. Therefore the advice that you go home. 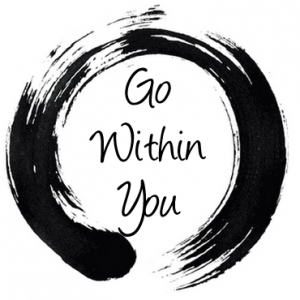 Go within, where you will find an ocean of peace, abundant energy and boundless bliss. The road to this home will appear when you stop doing and start being. Stop existing and start living. The Bible says, “Ask, and it shall be given to you; seek, and ye shall find; knock, and it shall be opened unto you” (Mathew 7:7). But Osho, the Master asks, ‘when was the door locked for it to be opened?’ He declares that it was always open. And he says the tragedy with all of us is that we keep knocking at an always-open door and keep complaining that no one’s there to open it for us! This is Osho’s way of reminding us that we are foolishly obsessed and engaged with all the material, impermanent aspects of Life. He says the door to joy opens inwards, where, our own private space__our sanctum sanctorum, unpolluted, unaffected__awaits us. The Buddha has said, “Go home to the island within yourself. There is a safe island of Self inside. Every time you suffer, every time you are lost, you go back to your true home. Nobody can take that true home away from you.” This was the ultimate teaching the Buddha gave to his disciples when he was eighty years old and on the verge of passing away. Your true home is within yourself. When you arrive there, fear, insecurity, desire, lust and such crippling emotions evaporate. This is a home that will not be taken away by your bank, because you couldn’t pay your mortgage dues! This is a home where you will not want anything, anymore! And once home, you will wish you had come here, much, much earlier. Am reminded of the 1970 classic by John Denver (enjoy it here ) whose lines go: “….And driving down the road, I get a feelin’, that I should have been home yesterday, yesterday…Country Roads, take me home, To the place I belong, Country Roads, take me home…” Better late, than never: Go home! Author AVIS ViswanathanPosted on May 2, 2015 March 14, 2016 Categories Art of Living, Bible, Bliss, Buddha, http://schemas.google.com/blogger/2008/kind#post, Inner Peace, Intelligent Living, John Denver, Mathew 7:7, Osho, SelfLeave a comment on Better late than never: Go Home!